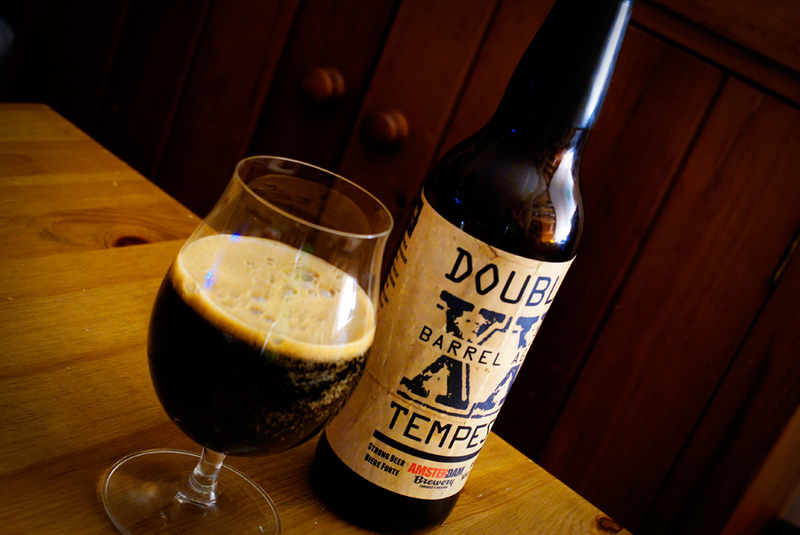 Barrel Aged Double Tempest — Amsterdam Brewing Co.
You know those imperial stouts, that are like, double imperial stouts?……. So lots and lots of people really like Amsterdam’s tempest Imperial Stout. Like, it’s pretty normal to hear descriptions like “Best Imperial Stout in Toronto.” etc. It’s just really really good. It was even better when they made it Full City Tempest and included coffee in it. So when Iain doubled down, and made a Double Tempest, it was already a kind of off-the-hook situation. But then, you know, just for kicks, he tossed it into Four Roses bourbon barrels and left it there for nine months. This is a 15% monster. And I can hear you already, “I don’t need to read your description, where do I get this amazing beer?” Well, friend, let me tell you: The Amsterdam BrewHouse. No, not at the bar, at the retail store. It goes on sale this Saturday at 1pm. Line-up, trust me. There is a 4 bottle maximum, but if you buy four, you get a voucher for a tasting at the bar, that includes a three year vertical sampling of the regular Tempest (for those not indoctrinated in beer-geek-speak, that means the Tempest from this year, as well as 2012 and 2011). You also get a glass of Barrel Aged Double Tempest. But that’s not all, a variety of other rare brews will be available at the bar (Boxer, farmhouse ale with brett; Bastogne De Or, golden ale with brett. A collaboration with House Ales; Lady Stavoren, wheat wine with Nelson Sauvignon hops; Imperial Saison, with ice wine must and juice. A collaboration with Great Lakes Brewery; Four Barrels Barley Wine, aged in Ontario ash barrel. A collaboration with Four Barrels; Order and Chaos, wit aged in fresh Chardonnay barrels; Rye Peppercorn Saison, aged in Cab Franc barrels; Fracture IIPA, brewed with Simcoe, Columbus, Centennial and Citra hops then double dry hopped.) There will also be various bottles of other Adventure Series brews. Yeah, you want to be there. Bring your wallet. From a waxed 650ml Adventure Series bottle, Barrel Aged Double Tempest pours a solid black, with a low dense head that is a dark tan. The foam lingers and leaves heaps of lacing on the glass.The aroma is just fantastic and complex. Big boozy heat right off the top. There is charred malts, bourbon, dried fruits, coffee, port, brown sugar, plums, figs, leafy hops, chocolate and an inky astringent tang. Phew! Taste is just massive, jammy with dried fruits, more brown sugar. There is a sharpness that is fruity, showing cherries and blackberries, prunes and raisins, and a vinous port-like tang. Spices notes show up across the palate, with cola, cinnamon and pepper. The charred malts show coffee, chocolate, and molasses. There is an inky astringent flavour that reminds me of an Islay whisky. The barrel shows up with hints of oak and vanilla, and plenty of bourbon. A huge bitterness is present throughout the sip, but really shows up on the finish, where it is hugely dry, leafy and herbal, and leaves your palate nearly sticky dry, despite the huge sweetness of the beer. There is a big boozy heat throughout, but it is especially notable on the finish, warming you up all the way down. The mouthfeel is dense and rich, heavy and sweet, with just a touch of carbonation. The weight feels almost like drinking a slightly fizzy liqueur. Just amazing. I keep saying it, but I’m not sure many brewers could pull off a beer like this, this well. The balance is incredible. I want to say it’s graceful, but I’m not sure that paints the right picture. It’s graceful, like watching a bazooka-toting grizzly bear ride a unicycle. Huge and scary, but perfectly balanced. Make sense? Cheers Iain, can’t wait to see you at Tempest Day! This Saturday, at the Amsterdam BrewHouse. Bottles go on sale at 1pm, and while there’s plenty, you wouldn’t want to be left out. Bottles will be on sale there till they run out. A pipe. Not a Rod Ford pipe, a C. S Lewis pipe. Not much in the food department is going to hold up against all this. A big funky blue cheese probably would. Maybe a really spicy Indonesian beef dish. Maybe……. Heck, just have an amazing meal with a different beer, and settle in with this one after the kids are in bed. Amsterdam Brewing Co. is an independently owned and operated craft brewery that is deeply rooted in the city of Toronto. A pioneer of the Canadian craft beer revolution in 1986, initially called the Amsterdam Brasserie and Brew Pub, The Amsterdam was the FIRST CRAFT BREWERY in Toronto. All beers are GMO free, without preservatives, and never heat pasteurized. Back to their roots as a brewpub, Amsterdam Brewery now pours its brews at Amsterdam BrewHouse – where the art of craft is celebrated “where beer meets food.” To learn more about the Amsterdam Brewing Co. visit amsterdambeer.com. To learn more about Amsterdam BrewHouse, visit amsterdambrewhouse.com. Great write up! Do you know how much they are charging per bottle? $15/bottle. Basic stats: 650ml, 115ibu and 15%abv. Oh, and they’re waxed. I’ll be there late, but might see you (say hi, if you see me). Sounds good! Thanks for the reply. I’ll keep an eye out!